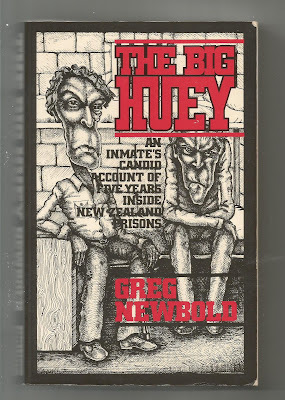 "In June 1975 Greg Newbold was a young Auckland university student working towards a masters degree. 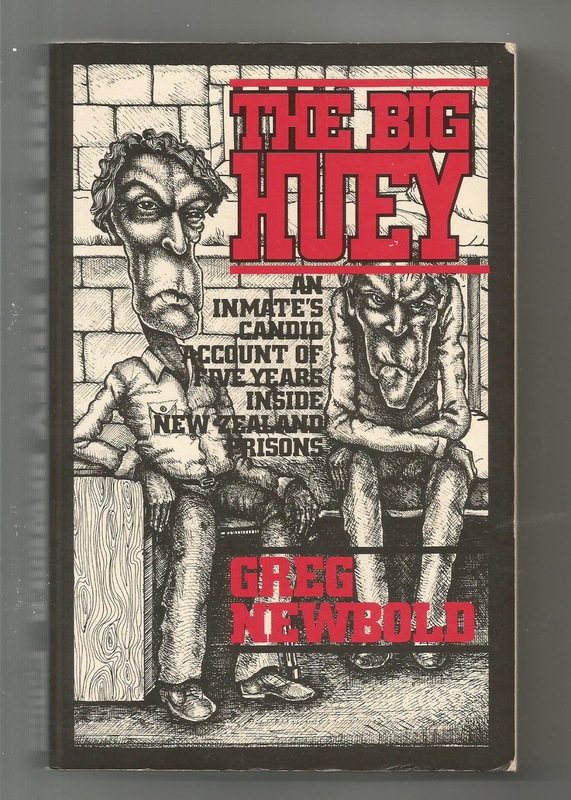 By November of that year he was an inmate of New Zealand's maximum security prison, serving a very long sentence, 'the big huey' in prison parlance. What caused this turn of events, and the consequences it had for him, form the subject of this engrossing, very honest and highly topical book." What caused this turn of events was an ounce of heroin and because of this we get this book. I first read this 25 years ago and on a re-read it is still raw and honest and entertaining. The honesty is remarkable as he puts himself out to the reader in ways he need not of have. The book is taken from a diary that he managed to compile and smuggled out of prison during the five years he spent locked up. He did his time in Mt Eden, Paremoremo and Hautu, a farm in the central north island. The writing isn't sensationalist, its just an account of the day to day experience of being locked up with a large group of males and the tensions, laughs and incidents that this involves. The author even as a small time drug dealer was always sharper than the average prisoner and managed to complete his Masters Degree with honours while serving his sentence.This sounds easy but this was on top of his having to work on prison work gangs while on the prison farm. Newbold was released in 1980 and this book was published in 1982, the writing is raw and unpolished. Today Professor Newbold writes in a much more finished manner from his position at the University of Canterbury. Newbold is also one of the people who when they comment publicly on a matter he is worth listening to, always balanced and always thought out. I've never read or heard him comment on this, but his arrest probably saved his life, he may have ended up like his associate, drug courier Doug Wilson, murdered in Australia in connection with the Mr Asia syndicate. Can't recommend this enough, its difficult book to find but every library in the country should have a copy.